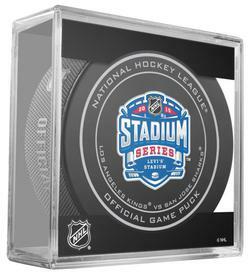 The 2015 NHL Stadium Series was an outdoor regular season National Hockey League game, part of the Stadium Series of games held at football or baseball stadiums. The Los Angeles Kings played against the San Jose Sharks at Levi's Stadium in Santa Clara, California on February 21, 2015. The Kings defeated the Sharks 2–1 on a goal by Marian Gaborik early in the third period.